The fruits are generally very good for health, but it seems that Apple, in particular, can help guard against premature death. The Anglo-Saxons have a saying: “An apple a day keeps the doctor away”, literally “an apple a day keeps the doctor away”. And it seems that this popular saying says quite true. Scientific verification has even been carried out and it shows that taste an apple a day can reduce by 35% the risk of premature mortality. In other words, consumed daily, this fruit would increase our chances of staying alive longer. A team of Australian researchers from the University of Western Australia studied the benefits that this fruit could bring. The results of this investigation were published in the British Journal of Nutrition. To understand the influence of fruit and especially the apple in our longevity, the researchers studied the eating habits of 1,456 women aged 70-85 years and this for 15 years. They are subject to regular questionnaires on their way to feed. The results were then analyzed. Scientists are rapidly concluded that women who ate fruit every day and especially apples saw their risk of dying prematurely fall by 35%. A very significant figure, so. According to the Australian team is the high concentration of flavonoids present in the skin of the apple that must these spectacular results. Indeed, these molecules in plants and leaders including their coloration are known for their strong protective power in cancer and their beneficial effect on the arteries. 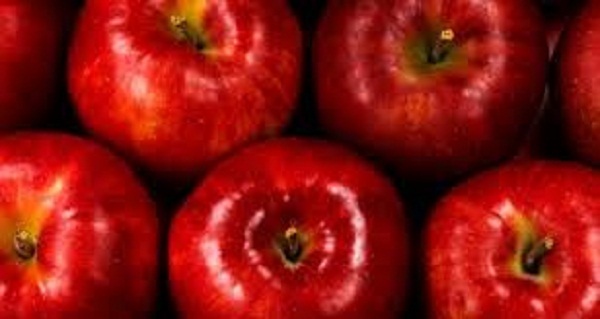 Finally, very high in fiber, apples protect against cholesterol and some colorectal pathologies. However, very exposed to pesticides please consume recent bio or failing to wash properly (MetroNews explains everything here). However, the Australian team also thinks that people who eat an apple a day globally have a better diet than others and consume more vegetables, a good option to live healthier longer. But those who are not Apple fans can rest assured, the fibers are found in most fruits and vegetables. As for the flavonoids, you can find in large quantities in blueberries, onions or tea.